We have plenty of opportunities for anyone to get involved in the running of MICA, for more information, please contact Tim, Holly, Debbie or Kim at the Centre. Volunteering is a great thing to get involved in if you can spare a few hours of your time each week. At MICA, we have a team of volunteers who we rely on to help with the day to day running of the centre. If you have great people skills, enjoy being the first point of contact for people coming through our doors and like a challenge, being a volunteer receptionist may be for you!! Our reception team deal with incoming enquiries through reception and on the phone, customers coming through the main doors to purchase memberships or tickets, ask questions, join classes and much more. For those who are able, administration jobs on the computer are divided between volunteers. This is a great position for someone recently retired from an administration or customer service role or for someone looking to gain more experience in these areas. There are a variety of roles in the charity shop, some of which are physically demanding, but all very enjoyable and satisfying when the items fly off the shelves. Our shop volunteers work as a small team, a half day at a time so this is a great role for anyone who likes to work with other people. Volunteers serve customers on the till, taking money and chatting to them, customer service is key!! The back room team take in the growing number of donations and sort them depending on whether items are suitable for sale in the shop or are to go for recycling. Items for sales are then priced and put out for sale. A great many of our shop volunteers have been with us for many years and enjoy coming to work every week. We are always looking for volunteer duty managers to join our team. You will be put on a rota to work one Tuesday or Thursday evening a month. Duty managers not only work on the reception and the bar but are also responsible for securing and alarming the building at the end of the shift. If you are trustworthy, confident and feel this is something you would like to do, full training will be given and you will not be left alone until you feel ready. If you feel that the above positions are not for you but you would like to volunteer your time in other ways then please contact us. We can use your help in caretaking, helping with book sales, helping keep outside areas tidy or even stewarding at community events. If you are a small business or individual who can help up by donating money, sponsoring an event or activity, donating raffle prizes, equipment or anything else that you think may help, please let us know? easyfundraising turns your everyday online shopping into free donations for the MICA. How? Just start your online shopping first at easyfundraising, then shop as normal. Their retailers will then make a small donation to say “thank you”. 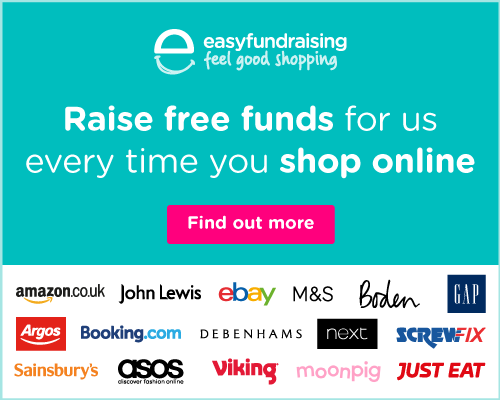 easyfundraising have 3,544 retailers to choose from and so far they’ve raised over £23 million for thousands of community groups, schools, sports clubs, small and large charities across the UK. Easy!